There is something wonderfully opulent about a bouquet of classic red roses. 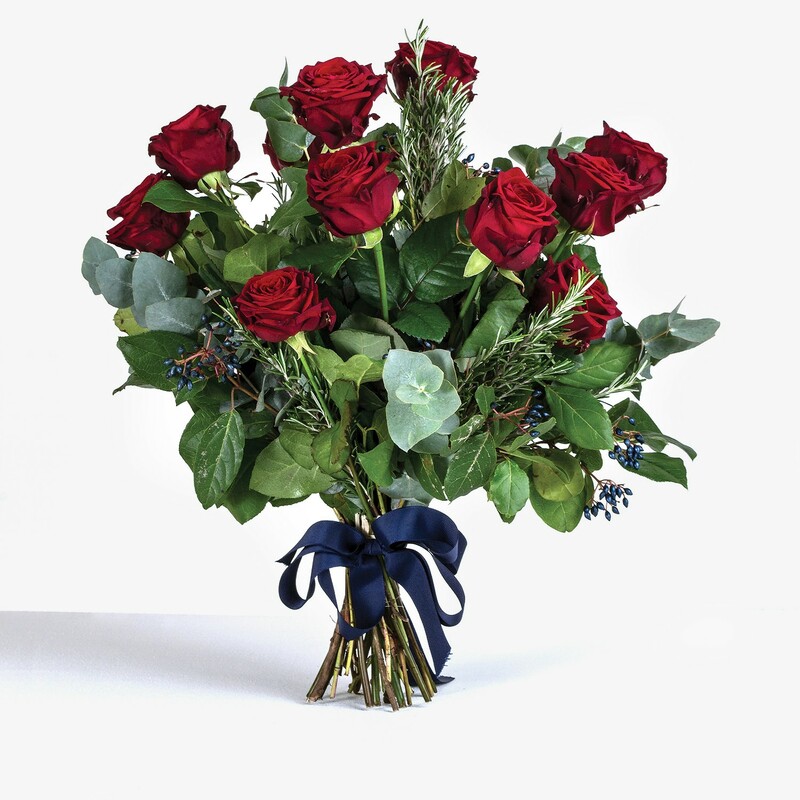 The flower is synonymous with passion, romance and love, and this is magnificently summarised in our Rose and Rosemary bouquet. The deep rich hue of the scarlet petals offers hints of delicious luxury, and the result is a seductive and enchanting arrangement that will certainly draw admiration. Sprigs of rosemary add wonderful texture and a subtle scent, while still allowing the timeless red rose to take centre stage amongst the silvery eucalyptus leaves. This is a stunning bouquet that embraces stylish glamour and undoubtably makes the perfect gift.